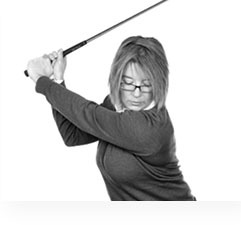 An over the top golf swing is very common for lady golfers to struggle with, and all an over the top golf swing means is that as you're moving on your down swing as you're going back down towards the ball, the club head is going over the top of your hands. It's moving forward of your hands this way. It's coming over the top of your hands. And the issue that's going to cause you is the club head will then go to the outside of the far side of the target line which is represented by the alignment ball there meaning that you'll then have to pull the club head back towards the ball, and to strike it, and in doing so you'll cut across the target line. The club head won't be able to swing directly down the target line, and it will give you an out in swing path. That just means that the club head has moved to the far side, the outside of that target line, and you're now pulling it inside of that target line. 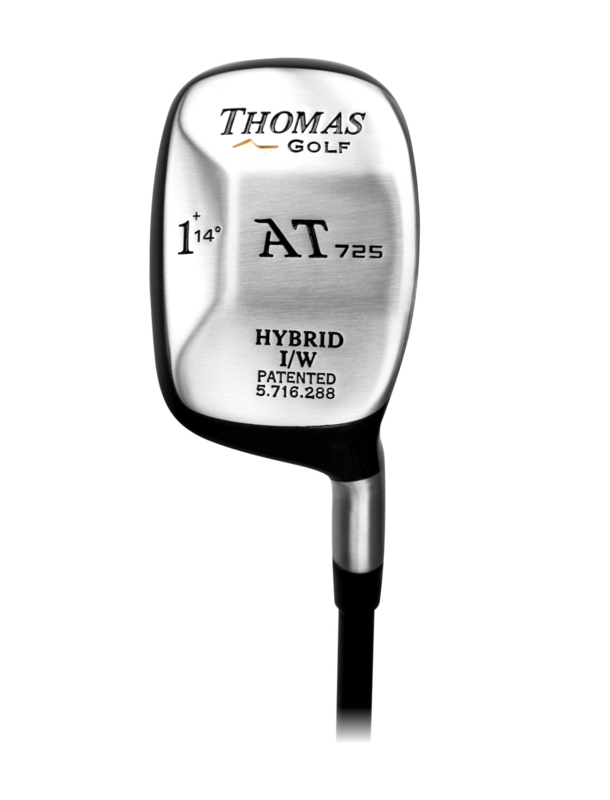 That's going to give you issues with connection because the club head is going to be dropping very steeply and attacking down onto the top of the ball, and also its going to give you directional issues because of how the club head is moving as its striking the ball. So this is a really good tip to help you correct that over the top movement. Basically all this happing with the over the top movement is your upper body is rotating more than it should be or out of sequence with how your lower body is rotating. So if we look in this way on over the top movement made by you're turning your shoulders initially on your downswing where's what you should be doing is rotating from the ground up which rotating your knees towards the target then your hips, then into your toe, so and finally into your shoulders as you strike the golf ball. To your sequence of movements, it's just back to front. You're rotating shoulders torso, hips and knees. We need to reverse that about round, so easy way to correct that, take a range basket. All we're going to do is we know that the club head swings over the top of your hands into the far side of that target line, so if we block the area of the target line off you're going to get encouraged to make a movement which is more from the inside and you'll go down that target line, and as you're doing that we can then work on getting you to turn your hips, and then your shoulders will follow. So what we need to do is we need to place the range basket about a foot to the right of the golf ball as you're looking at it, and just to the far side of the target line. Okay this means you can now address the ball, and you'll be able to move the club head away from the ball without hitting that basket, but there's only about an inch gap. So if you do move the club head away and then on your downswing clip that basket you know you've made it over the top movement and then your upper body moved before your lower body rotated. So work on making some practice swings where you keep the club head on the inside of that basket by working on rotating from the knees, so knees are going towards the target and the hips are rotating and then the shoulders are finally rotating in and firing through to strike the golf ball. So if you can work on that drill and you're not hitting that basket when you're striking your golf ball, you'll find that you've corrected your over the top move and you're now hitting much straighter golf shots.